Smith Engineering has significant history within the medical device marketplace. Our company has literally grown with the industry as many of the pioneering efforts in medical device technology have emerged from the local geography. We have found the traditional response is to provide a water system most often found in pharmaceutical manufacturing- “kill any bug at all cost.” Unfortunately that doesn’t necessarily work for a medical device startup, and may not be a reasonable solution for a device manufacturer regardless of stature. 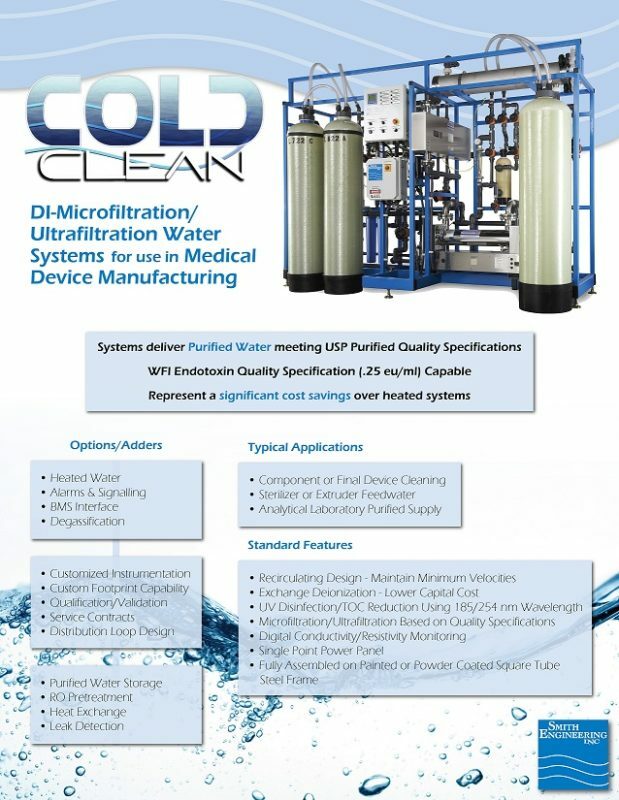 Although we are certainly capable of providing “Quality Lab” purified water, our primary strength and value to medical device customers is a history of tackling dirty manufacturing processes and “cleaning them up” for a high technology and highly regulated industry. Extrusion of plastic components in this industry is commonplace. Even today, the manufacturing equipment utilized in this critical process would be considered highly “industrial” by the quality control and microbiology professionals employed by a typical medical device company. 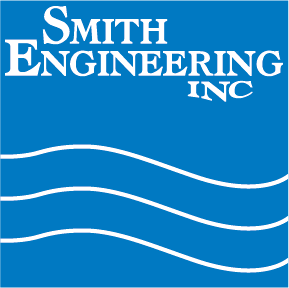 At Smith Engineering we have engineered a “philosophy” that is applicable to industrial applications found in any wet process; purify the water to USP Quality standards; utilize Ultraviolet and Filtration Technologies, as well as Continuous Velocity wherever possible to make the formation of microbial contamination difficult at best. One of the key components in our technology package is a focus on piping/water distribution materials. Typical “plumbing” materials will not suffice; we support the installation of crevice free and smooth interior piping materials as a key component in design, as well as proper use point valves. In the extrusion application discussed above, we utilize ionic and microbial purification technologies, UV disinfection technologies, and purified piping materials. Regardless of your application, laboratory analysis or manufacturing process, Smith Engineering has significant experience in addressing the wet process needs found in medical device manufacturing. Please contact us regarding your company specific needs.